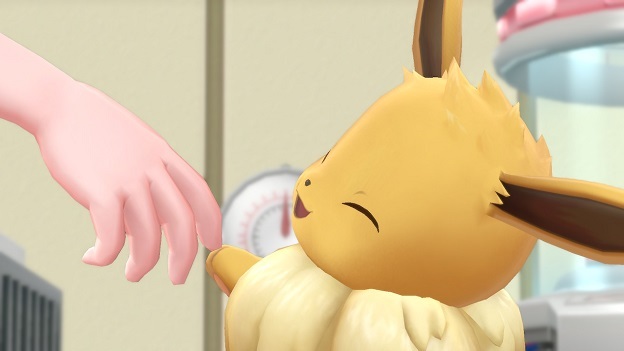 While some Pokemon fans were quick to dismiss Pokemon: Let’s Go, Eevee! and Pokemon: Let’s Go, Pikachu! ahead of launch as a “non-core” Pokemon game, it is a valid experience that is, at the very least, core-adjacent. These games are, essentially, a hybrid between the usual Pokemon Yellow experience and the Pokemon Go mobile game developed by Niantic. The result is a streamlined nostalgia trip that doesn’t compromise the integrity of either of its components. The land of Kanto, where the game is set, is richer than it was years ago. Being a remake of Pokemon Yellow, it is natural that players would be able to explore the world alongside their partner Pokemon, rather than keep it confined in a Poke Ball and only use it for battles. 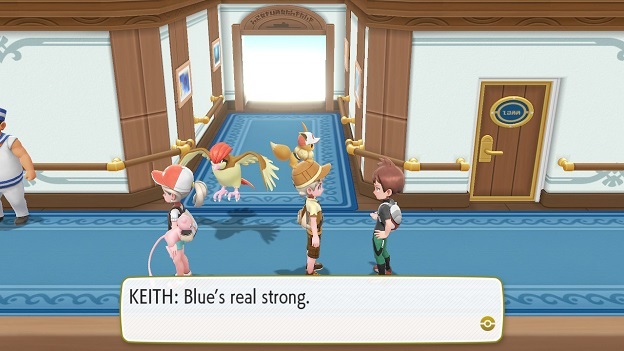 Returning characters like Blue, the original game’s rival, and both Jesse and James, two buffoonish pseudo-villains from the show, help inject the game with a welcome sense of humor that wasn’t as present in the original, thanks to new dialogue and characterizations. A new, player-named rival also makes an appearance. His eccentric nature sells the idea that this isn’t a reskinned version of the original game, but rather, an alternate retelling. Old, classic pieces of dialogue do make an appearance, but they’re supplemented by a healthy dose of new content, including cutscene versions of iconic events. The narrative goal of Pokemon: Let’s Go, Eevee! is a mix between progressing far enough to defeat the world champion Pokemon trainer and to “catch them all” so that you can better aid the research of the “Pokemon Professor,” Professor Oak. Somewhere along the line, you also must thwart the evil machinations of Team Rocket, including Jesse and James. Pokemon: Let’s Go, Eevee! doesn’t expand much on this original premise, and that’s fine. Your personal adventure through the vibrant world and with the Pokemon that inhabit it are where the games emotional center lies. Catching Pokemon, as one would expect, comprises a large portion of the game. The mechanics for this element borrow mostly from the intuitive, user-friendly mobile game. Pokemon wander the world, and bumping into them initiates an encounter with them. 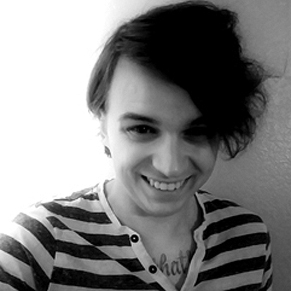 There are no longer any random encounters, although sometimes an aggressive Pokemon will try to chase after you. Visual indicators, like blue or red shimmers, indicate the relative size of the Pokemon. Players are given a lot of information, so that they greater control over their experience, and their choices help streamline the entire game. Battles are where Pokemon: Let’s Go, Eevee! feels very traditional. Players take turns choosing moves to lower the health of their opponent’s Pokemon. When the opponent no longer has any Pokemon available, they lose. At this point, you receive both money and Poke Balls. That trainer also won’t fight you anymore, so you may gain passage to an area they were guarding. The battles, with all the loot they provide, feed into the catching, and since catching is quick and gives your Pokemon experience points, this really does wonders to streamline the game. The ratio of battling to catching has shifted away from battling, which is likely the biggest departure from the original. In fact, catching Pokemon is such a focus, I’d recommend using the move “Pay Day,” as it does damage, gives you more money at the end of a fight, and is available very early in the journey. It can help you afford more Pokeballs. Catching Pokemon, beyond giving XP, is the route to “candy,” which is another thing pulled from the mobile game. These serve a different function here, however. In exchange for sending Pokemon back to Professor Oak, you receive different types of candy. Each of these can be used to improve different stats for your Pokemon. It’s a much easier way to customize your team, because simply using an item on an Eevee repeatedly is much easier than forcing an Eevee to fight a specific kind of Pokemon whose defeat increases a hidden value that will raise one stat. Early in the game, speed seems to be an important stat, because going first usually means you can defeat a Pokemon before it even has a chance to do any damage. Speed Candies are also easily obtained, so that might be by design. Pokemon: Let’s Go, Eevee! is far from a rote repetition of “catch” and “battle.” The sense of adventure that the series has always managed to convey is heightened, and that is largely due to the emphasis on bonding. The Pokemon feel lifelike and really do function more as partners, rather than tools of conquest. Your starting Pokemon, which will be either Eevee or Pikachu depending on which version you pick, chirps and reacts to things. Eevee, for example, will wag its tail rapidly if there’s a hidden item on the floor. You can also groom, pet, and feed your starters to increase your bond with them, which will result in various in-game rewards, including access to a powerful “sure-hit” move. The ability to bring additional Pokemon out of their Poke Balls also boosts bonding. Players can collect outfits for both themselves and their partner Pokemon. Personally, I like to dress up as an Eevee and have Eevee dress up as a trainer, to really accentuate this idea of partnership. 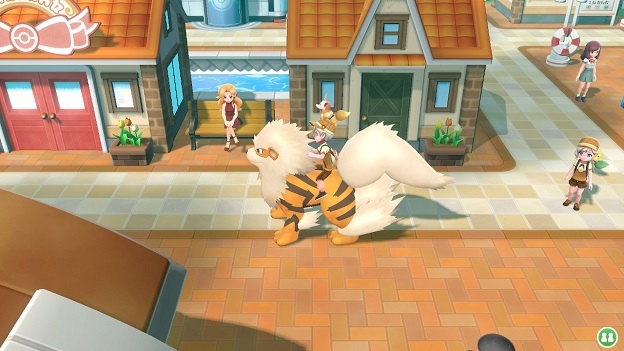 Riding Pokemon through the world also makes you feel like a team and gives a better understanding of how large something like an Arcanine actually is. The Poke Ball Plus accessory that comes with some bundles of the game, but is also available separately, adds more fuel to the “Nintendo wants you to love your Pokemon” fire. The device comes with a Mew “inside,” which can be transferred to the game to help justify the $49.99 price point. Once Mew is out, other Pokemon can be put in. The LED on the device changes, depending on what’s inside, and there are speakers that allow the unique cries of the Pokemon to play. Going for walks with a Pokemon inside the ball will strengthen the Pokemon, so there’s usually an excuse to spend more time with your chirping, vibrating companion. Also, walking is good, and this feels reminiscent of older Pokemon accessories that were meant to encourage exercising. The Poke Ball Plus also works as the coolest, but least comfortable, control option for the game. The button on the center of the device is also the analog stick, so user input error is bound to happen. 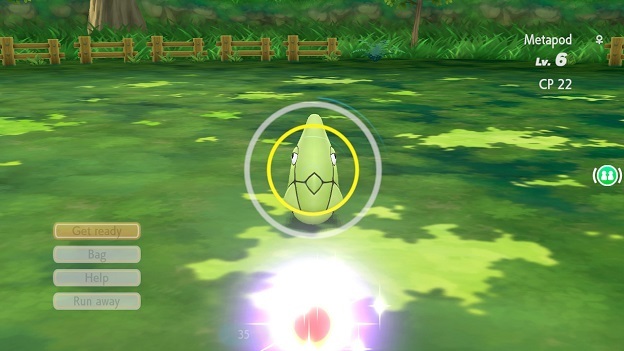 There is also a mostly hidden button on the red half of the Poke Ball. For adult hands, cramping is nearly inevitable. The Poke Ball Plus features motion controls as well, so a “throw” gesture is used to capture Pokemon in-game. Similarly, waggling a Joy-con does the same thing. Unfortunately, neither of these options feel precise, but in terms of pure comfort, the Joy-Con is the better route. It also happens to come with the Switch and one of them has a screenshot button. For people who want that “throwing” action, I’d say the left Joy-Con is your friend. For those who want a faster, more reliable method of catching Pokemon, putting the game in Handheld mode allows players to use the tilt of the Nintendo Switch to aim or turn motion controls off altogether. If you want to play through Pokemon: Let’s Go, Eevee!’s co-op mode, then Joy-Cons or the Poke Ball Plus are going to be your only option. One could make an argument that the mode is lackluster or boring, because one of the players isn’t a full participant. They appear on screen and a Pokemon follows them around, but they cannot interact with anything in the world. If they go off screen, then they teleport back to the first player. I wouldn’t make that argument, however. I would say that the co-op mode is a welcome addition with a variety of benefits. For one, since less responsibility is placed on the second player, an experienced player can very easily invite a “non-gamer,” a child, or just someone trying to make the jump from Pokemon Go into this more classic experience. It’s a very welcoming route, and a friend of mine has told me that it was a good way of bonding with her mother. So, in that way, Pokemon: Let’s Go, Eevee! is about more than just bonding with virtual Pokemon. Pokemon: Let’s Go, Eevee! is easier when played cooperatively. Most battles become a two-versus-one affair, as the player and their partner both get to place a Pokemon in the fight. Catching Pokemon also changes, because you can both hurl Pokeballs at wild Pokemon. It’s kind of fun and kind of cute to count, “3-2-1-Go!” alongside someone to throw the ball at the same time and receive a special animation. In order to start co-op, a second player only needs to shake the second Joy-Con. They can also leave by performing the same action. It’s all so simple that, if you wanted to, you could easily play co-op by yourself to make the game a bit easier. Solidifying the game’s relationship with Pokemon Go is the ability for players to transfer Pokemon from the mobile app into the Switch game. It is a one-way road though, and you will not be able to get the Pokemon back. The Poke Ball Plus can also be synced to a mobile phone, at which point it can function as a Pokemon Go Plus accessory which automates parts of the mobile game and makes it easier to catch Pokemon while you go about your day. It’s worth noting that my Poke Ball Plus didn’t reliably connect to my phone or my Switch, but it always got there eventually. Others online are reporting a similar experience. 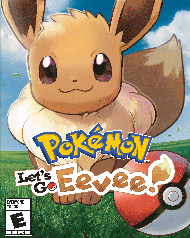 Pokemon: Let’s Go, Eevee! and Pokemon: Let’s Go, Pikachu! are an amazing glimpse into what a console version of the “core” Pokemon games will look like. It does such a good job of revitalizing an old game that I almost have to wonder if the entire point is to channel the wave of Pokemon Go players into the rest of the franchise. That said, this game is deep enough that I wouldn’t mind seeing its elements carry over into other games. There’s a part of me that prefers catching Pokemon like this, and there wasn’t a point that this game felt monotonous, which is more than I can say about the other games in the series, despite my love for them. Pokemon: Let’s Go, Eevee! is a powerful example of what Pokemon can and should be like on a console, and I’d love to see the best elements of this title get rolled into the next evolution of the series. Play the entire game with a single Joy-Con controller or use the Poké Ball Plus accessory, which will light up, vibrate and make sounds to bring your adventure to life.